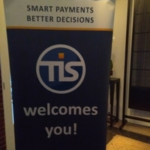 On Tuesday 27th March 2018, treasuryXL attended a seminar in Amsterdam organised by TIS. TIS stands for Treasury Intelligence Solutions and, during this seminar, Christian Werling from TIS gave a very informative presentation about their services which focus on cloud solutions for managing the administration of bank accounts. These solutions offer real-time reporting on all bank accounts – worldwide – and the ability to use just one system to validate and release all payments. 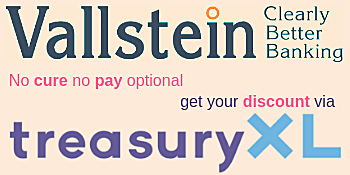 In a world where a treasury department might hold more than 100 bank accounts, dispersed over more than 10 banks spread out across different time zones and having to maintain the possession and custody of numerous bank tokens and log in protocols, a one stop solution is very enticing. In today’s world, companies can find themselves with a physical presence in a multitude of countries and locations. In the current environment, a corporate treasury would need to log on to the website of every unique bank where they hold accounts and extract the bank statements for the previous day. Using separate bank tokens and log in protocols, this process can quite easily take up to 1 hour. Furthermore, all the separate data needs to be collated and then uploaded into 1 system, Various subsets of the information need to be given to different internal departments so that they can perform their daily tasks – reconciliation, data input and verification. In the modern age, you could find yourself as a Treasurer, within a large complex organisation, consisting of a head office, subsidiaries, legal entities and shared service centres. The underlying platforms can consist of book keeping systems, ERP, HR and different databases. Additional data flows come from e-banking systems, TMS and stand alone projects. The output from all these systems are then used to connect to the banks. Furthermore, all these layers of connectivity can be subject to fraud or attack from outside sources. TIS provides a single point of contact via a SaaS (Software as a Service) platform that connects to all these systems, thereby offering a simple and effective control over the data flows in real time. After this we were informed about how the system works in the real world. Bas Coolen is the global head of treasury at Archroma – a colour and speciality chemicals company based in Switzerland. They have a physical presence in over 35 countries and 3,000 employees. Formed 5 years ago, they wanted a minimal IT solution to their legacy banking operations. These operations stretch from Asia, via Europe to the Americas and involved many different banks. They concluded that no single bank could provide the service they required within every country and that they needed a solution. By adopting the platform offered by TIS, they have been able to implement a global system that encompasses all their bank accounts – this provides them with a single source of truth. Importantly, the security aspects can now be maintained from one source – all the relevant authorisation matrices are now contained in one platform, along with the capability to perform all global e-banking operations from one location. TIS were joined at this seminar by Cashforce, who presented their Smart Cash Forecasting and Treasury system – that will be the topic of our next blog. treasuryXL would like to thank TIS for allowing us to participate in this seminar. If you have any questions, please feel free to contact us.